INFRASTRUCTURAL CONSOLIDATION AND EXPANSION ! 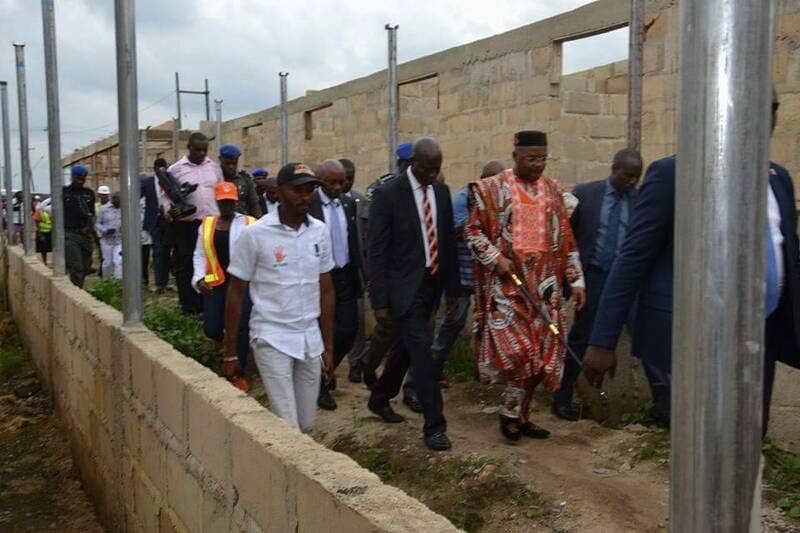 Akwa Ibom State Governor, His Excellency, Mr Udom Emmanuel, today 14th May 2018, inspected on-going construction of the Akwa Ibom Traders Ultra-Modern market located at Mbak Ikot Oku, Itam, Itu Local Government Area. The project which is at a roofing level is expected to be commissioned by September 23rd during the state anniversary celebration. Secretary to the State Government, Dr Emmanuel Ekuwem, Commissioner for Information and Strategy, Mr Charles Udoh, Senior Special Assistant to the Governor on Technical Matters and Due Process, Engr. Uffot Ebong and Special Assistant to the Governor on Trade and Market Matters, Akparawa Idorenyin Raphael were on hand to explain various stages of the project execution to the Governor.